Denomination : Bronze 100 cash. Mint : Wuch'ang in Hupeh province. Size : 55.2 mm. Weight : 50.82 grams. 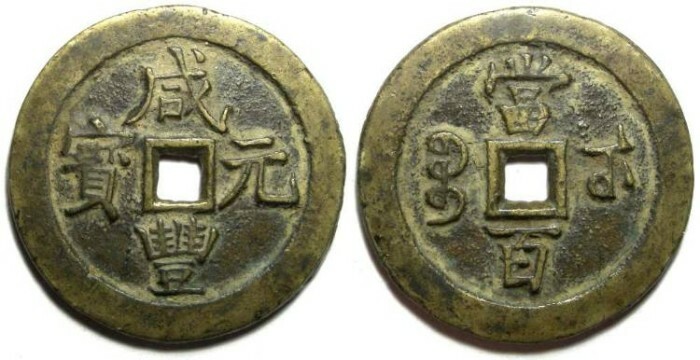 Reverse : "T'ang bai boo Wu" (value 100, Wu mint).